In addition to all our State and Territory Committees offering conference scholarships, which were recently announced for our 2016 conference, three of our State Committees also support special awards to young Australian agricultural students to enable them to include an international component in their studies. Information on our Qld and WA awards for this year are available via the state pages. Last year, Miriam McCormack from the University of Tasmania, was a recipient for both the conference scholarship and a special travel award from our Tasmanian Committee. Her report on the conference experience is here. 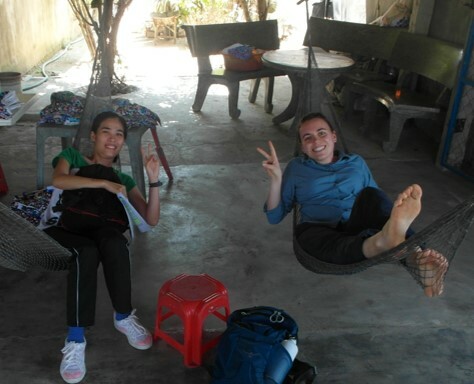 Miriam has now also provided a report (below) on her visit to Vietnam to complete research associated with her studies. 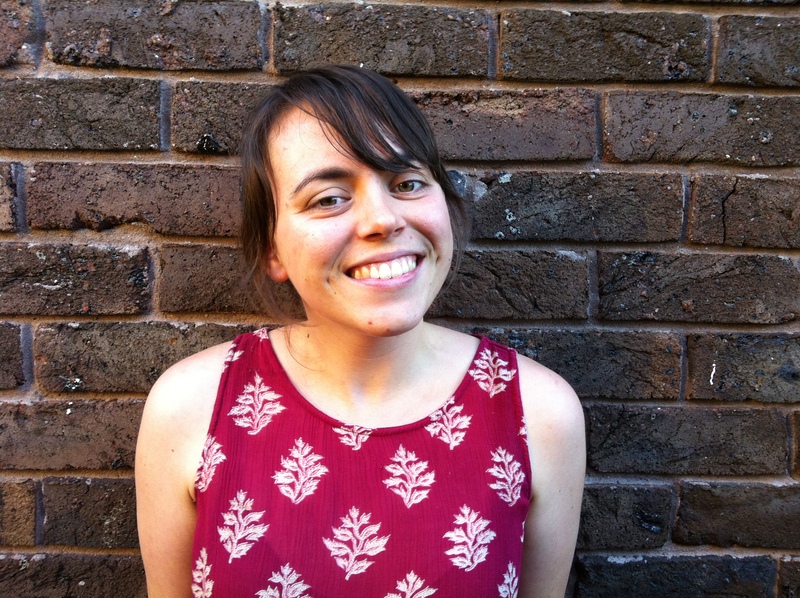 And it’s wonderful to report that Miriam has since been accepted as a Graduate Research Officer at the Australian Centre for International Agricultural Research (ACIAR). 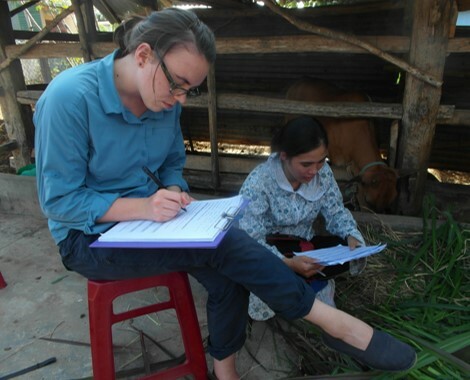 It was a challenge and a pleasure to be able to spend some of my honours year in the field in Vietnam. Thanks to the Crawford Fund, I was able to complete my data collection and gain valuable insights into Australian-funded development work. Insights that have prepared me to begin work as a Graduate Research Officer for ACIAR, and beyond. One of the best parts of working overseas was being immersed in rural communities that I would never have witnessed as a tourist. I relished the opportunity to speak with locals about their farming systems, but also their day to day lives. Whilst I still have much to learn as a young graduate, I feel as though this experience has given me a head start, not only in the field of International Agricultural Development, but also in general areas of communication, empathy and confidence. Many facts and figures are thrown around in relation to the world’s rural poor, but putting a face to those statements gives infinitely more meaning to the work of scientists like myself. A growing and changing global population means an increase in demand for food, especially meat and dairy products. Smallholders currently produce half of the world’s food and are now being looked to as one group that has potential to add to the supply. 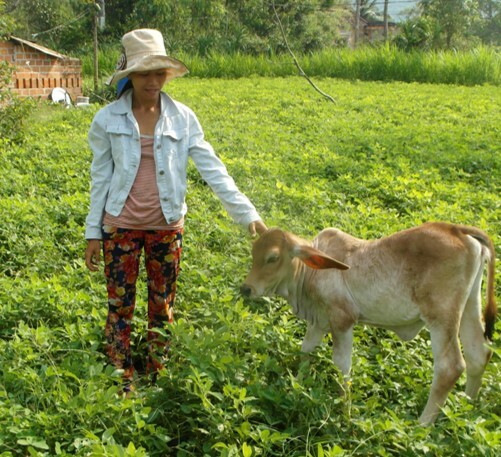 Vietnam is one country where farmers are poor but have systems that can transition from subsistence to commercial production. 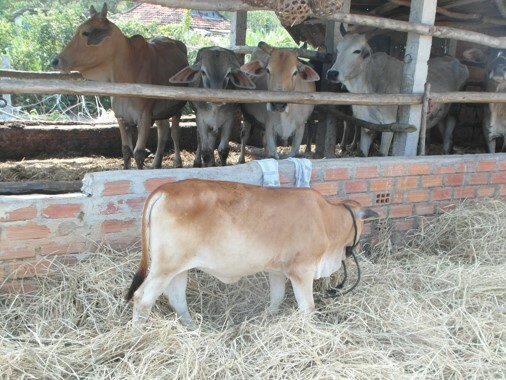 However, a gap in quality feed over winter is creating a barrier to smallholder beef farmers hoping to sell fatter cattle at a higher price to local markets. 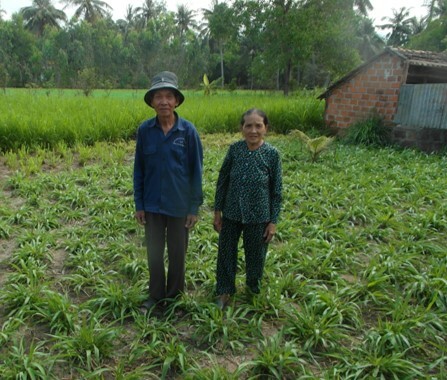 A study was conducted as part of a previous project of the Australian Centre for International Agricultural Research (ACIAR) on the south-central coast of Vietnam to observe the uptake and spread of improved forages. 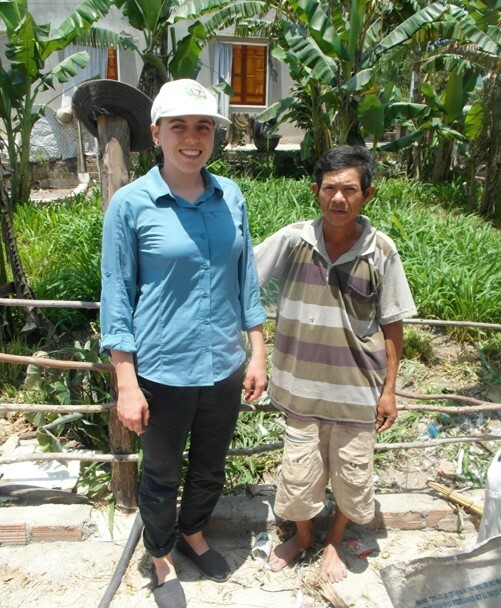 Three Farmer Champions were identified through previous data collected by ACIAR, and snowball sampling was conducted. 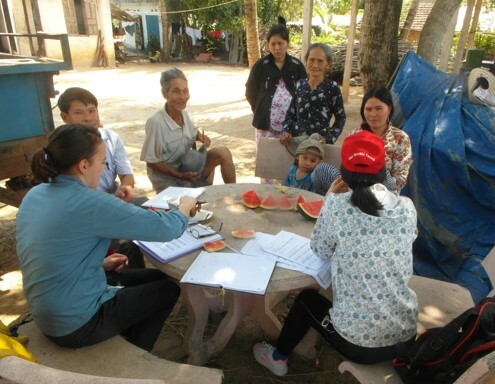 Thirty-one Scale-out farmers were identified and interviewed from Phu Kim village, Binh Dinh province, Vietnam. Surveys were undertaken regarding the timing and uptake of practices and technologies that had been integrated into Scale-out farmers’ systems, after talking with or directly observing the Farmer Champions. A mixed-methods approach was taken to capture both qualitative and quantitative responses in order to gain the broadest possible understanding of the processes involved in knowledge transfer. From the qualitative data, themes emerged centred around the motivation and major benefits of improved forage adoption. Many farmers stated that issues around cattle wellbeing, saleability of livestock and nutrition were major factors behind the motivation to adopt improved forage. Whilst the distance and relationships between Farmer Champions and Scale-out farmers were not statistically significant, the ability of Scale-out farmers to see the Farmer Champions using new technology greatly influenced uptake and integration. Scale-out farmers also took on other practices related to the forages, although this was a step-by-step process. Some of the Scale-out farmers, who had adopted practices in later years, had implemented less of the new practices than others at the time of interview. All Scale-out farmers preferred to learn from other farmers over formal channels, such as local extension and project workshops. The data collected will be used to inform the structure and focus of future projects in the region, as well as beginning to understand the nature of scale-out and its effects.